In 2018, Bollywood experienced a storm name ‘#metoo’, which took in renown actors like Nana Patekar and Alok Nath. The storm hasn’t stopped. It has continued to sweep in big names. The recent victim is Director Rajkumar Hirani. He was accused of sexual assault by a woman who, as per sources, have assisted Hirani in his film ‘Sanju’. 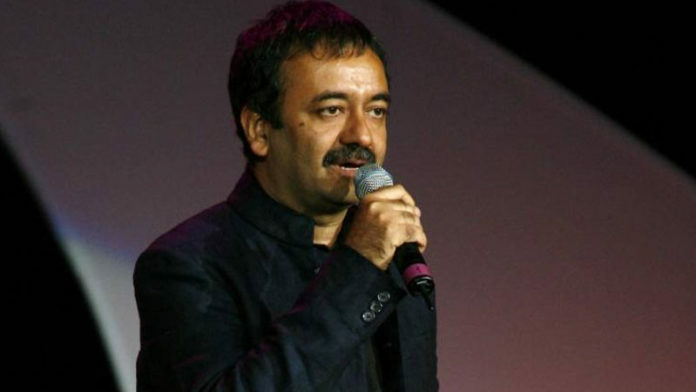 HuffPost report mentioned that the women alleged Rajkumar Hirani for assaulting her for over six months during the post-production of the film. She wrote an email saying, “I remember forming these words on my lips – “Sir. This is wrong… Because of this power structure. You being the absolute power and me being a mere assistant, a nobody – I will never be able to express myself to you. My mind, body and heart were grossly violated that night and for the next 6 months,” to the producer of the film, Vidhu Vinod Chopra, his wife Anupama Chopra, his sister Shelly Chopra and the scriptwriter of the film, Abhijat Joshi. Anupama Chopra confirmed that the woman had shared an account with her and that Vinod Chopra Films (VCF) has since set up a committee to address complaints of sexual harassment, in an email to HuffPost. The women said, “I had no choice but to be polite to him. I was worried that if I left midway, it would be impossible to find another job in this industry if he were to speak badly about my work. Because if Hirani said I wasn’t good, everybody would listen. My future would be in jeopardy”. In the same interview to HuffPost, she said she took great pains to conceal Hirani’s actions towards her and maintain a facade of normalcy as her father was suffering from a terminal illness, and she desperately needed to hold on to her job. Rajkumar Hirani denied all the allegations and gave a statement saying, “I was completely shocked when these allegations were brought to my notice about two months back. I had suggested immediately that it is essential to take this matter to any committee or any legal body. The complainant has chosen to go to the media instead. I want to very strongly state that this is a false, malicious and mischievous story being spread with the sole intention of destroying my reputation”. He also shared printouts of messages and emails exchanged between the two of them, to show how they had a professional relationship. After the allegations were made, Rajkumar Hirani’s name was mentioned in the teaser as Co-producer but was removed from the poster and the trailer of the movie ‘Ek Ladki Ko Dekha Toh Aisa Laga’, which will be releasing soon. Is India Really At Crossroads ?